Advancing the Industry. Protecting Your Home. That's our goal here at New York State Association of Plumbing, Heating, Cooling, Contractors, Inc. The New York State Association of Plumbing, Heating and Cooling Contractors helps homeowners find respected plumbing and HVAC contractors in the state. We work diligently to provide you with the resources you need to make a wise investment for your home. You wouldn't trust just anyone to work in your home. So why would you settle for just any heating, cooling or plumbing contractor? We'll give you the information you need to find a contractor who offers you a great value for their services. Call 716-216-4360 now to discover which contractor is right for you. And that's just the tip of the iceberg. Visit our National and State Membership Benefits pages to learn about the other advantages of joining our organization. The New York State Association of Plumbing, Heating and Cooling Contractors is dedicated to the promotion, advancement, education and training of the industry for the protection of our environment and the health, safety and comfort of our citizens. Our Association of plumbing, heating and cooling contractors offers the consumer the very best in qualified personnel to fix your plumbing, cooling and heating needs. Check out our Membership Application page to learn how you can join us. 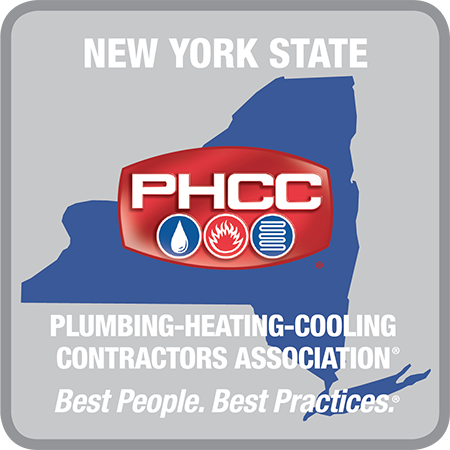 New York State Association of Plumbing, Heating, Cooling, Contractors, Inc.